Question as to how to control food standards at various restraunant s, cafe , bakery shops and other eateries have been dealt by authorities in UK through novel idea of ratings . which would be monitored by authorities . We expect other countries to implement similar monitoring to ensure food safety . The primary purpose of these food hygiene rating schemes is to allow consumers to make informed choices about the places in which they eat out and from which they purchase food, and, through this, to encourage businesses to improve hygiene standards. Local authority enforcement officers are responsible for inspecting food businesses to ensure that they meet the legal requirements on food hygiene. Under food hygiene rating schemes, each food outlet is given a hygiene rating or hygiene score that reflects the inspection findings and may display this in their premises where consumers can see it. Scores are also available via websites where consumers can see the scores for all the businesses in the local area. 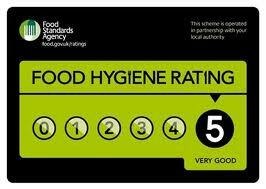 At the moment, more than 200 local authorities across the UK have food hygiene rating schemes in place. These schemes vary in their design and the way that they are operated so the Agency is working towards a national approach to avoid further proliferation of different arrangements in different areas, and so ensure consistency for consumers and clarity for businesses. The hygiene rating given to a food business will give customers a glimpse into the areas that they don’t normally see to get an idea of what’s going on in the kitchen, or behind the scenes. Ratings are available for anyone to view at food.gov.uk/ratings.